Ted Lound was one of the most dedicated teachers you could wish to meet. I came across him at Chesterfield College many years later when I was an engineering student. I was flattered he remembered me! I met him again at the Reunion four years ago & he was in good spirits. I have heard recently he is not well. He now lives at Woodsetts Workop. 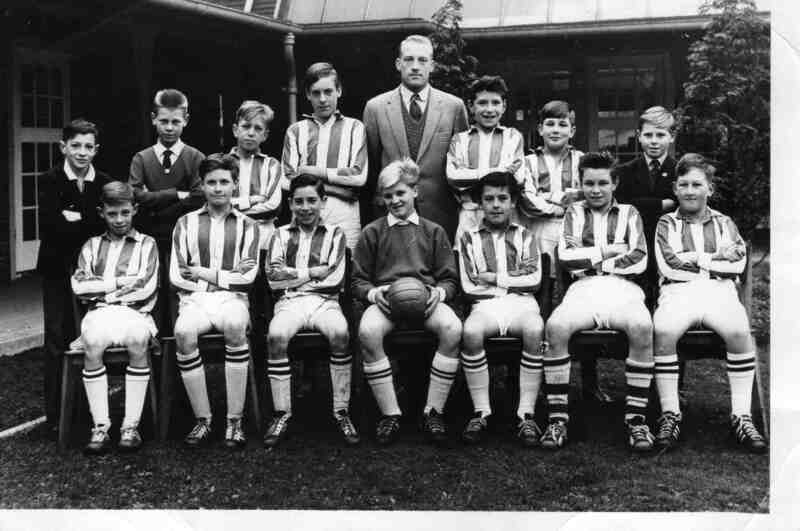 Under 13 Team Shirts – Green and white stripes. Socks – White with green hoops. Dave would have made the grade today with good coaching & present opportunities. We think S Wadkin is Stewart, my husband is Vaughan Taylor and his brother is Glyn. It is Peter Burgess not Philip.